As election schedule has started, debates on victories and losses of political parties has picked up momentum. Among the factors which are responsible for outcome, the role of various lucrative offers to people is a topic of intense analysis by media and elite intellectuals. 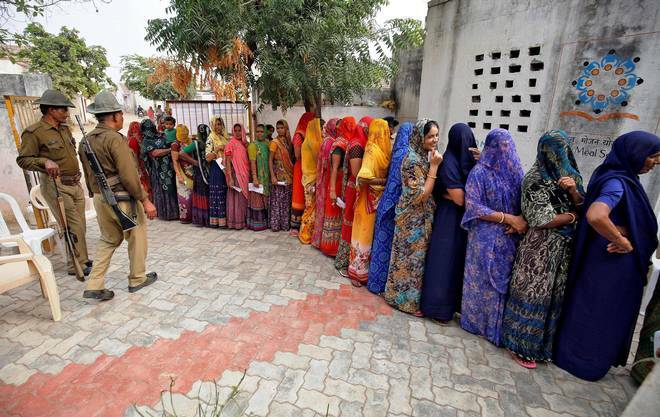 A nationwide survey involving more than 2.7 lakh people revealed that for 41.34% of respondents, distribution of cash, liquor and freebies was an important factor behind voting a particular candidate in an election according to Association for Democratic Reforms. (Liquor, cash, freebies swing votes: ADR Survey ,updated March 25 2019, thehindu.com). Though 97.86% interviewees felt that candidates with criminal background should not be in Parliament or State Assembly, 35.89% were willing to vote for a candidate with criminal records if the candidate had done good work in the past. The survey has indicated that better job opportunities and healthcare remain among top priorities of voters. Despite many people against unethical deed of politicians, almost every election season sees large – scale distribution of money and material. Why? One explanation may be that the targeted people are mostly marginalized sections of society especially dalits, adivasis or minorities who live in poverty throughout their lives and when they are offered such things of temporary comfort, they try to accept so that they may have at least ‘royal’ life for some time. Temporary sentiment plays a vital role in decisions. The masses do not generally think of long- term effects of voting. They are mainly concerned with their day-to-day life and ways to earn their bread to satisfy hunger of their families. Factors like age, social class and gender also determine voting pattern. According to market research firm Ipsos MORI, (UK) , voters in social classes D/E are more likely to vote Labour, eg in 2017 general elections, 47% of D/E classes chose Labour. (Factors influencing voting behaviour, Part of Modern Studies /Democracy in Scotland and the UK, www.bbc.com). Voters in social classes A/B chose Conservatives. One reason is the historic difference in policies. Similarly, in India, partes like BSP have more voters of dalit sections whereas BJp draws support by wooing upper castes. Another reason influencing voters relates to region- specific problems. The rise of TRS in Telengana or Asom Gana Parishad in Assam is an example of peoples’ aspirations in particular regions. Also, quality of leadership influences many voters. Reasons may include communicative capability, connection with grass-root people and confidence on leaders. It is easy to blame poor people for casting vote on the basis of appeasement. But root cause should be analysed. Major problem is with the system which thrives on corruption and influencing poverty – stricken masses by distributing sops and alluring them with abnormal dreams of future. As long as money and physical material play crucial role in the daily lives of poor, leaders have fair chances of intimidating and duping them and coming to power through devious means. That is why, eventhough a party or a coalition wins an election, protests, dissent and agitations continue to rock the nation as scores of people come out against anti- people policies. Present system reflects will of the people only to some extent. There are many people who do not vote or vote NOTA expressing their dissatisfaction with parties and leaders. Every ruling party claims that it has won through thumping majority but in reality, it has only about one- third of votes in favour. Hence rather than casting aspersions on the poor for the state of polity, an alternative effective and efficient system must be developed which reflects true picture of peoples’will and eliminates corrupt practices including cash, liquor, sops or freebies distribution to garner votes. This system has not entirely succeeded in genuine electoral process. The on-going imbroglio on EVMs is an illustration of possible manipulations of presenting majority in favour of particular parties or groups .